Ranchitos house for rent. Three bedroom two bath Large lot. $750 includes utilities. Please call for a viewing. 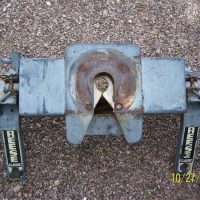 Looking to buy a used ATV trailer please. Car top carrier with security locks and attaching brackets for roof rack. Measures approx. 48"x38"x22". 1000 pesos.